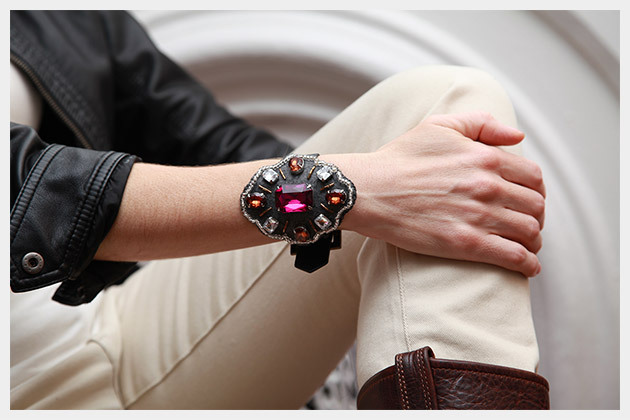 Baroque is a big trend for fall and this Baroque Buckle Bracelet DIY can add a fancy touch to your everyday basics. 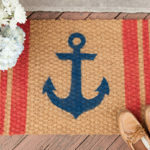 Make a template to cut out your felt. I cut mine 3 inches tall by 2.5 inches wide, in a sort of oval scalloped shape. 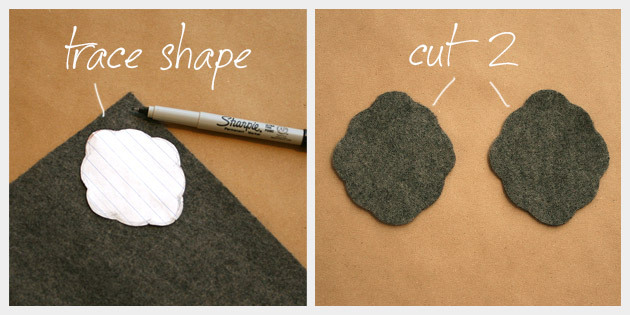 Cut out 2 pieces of felt using your template. Lay out your large and medium stones and mark their placement. 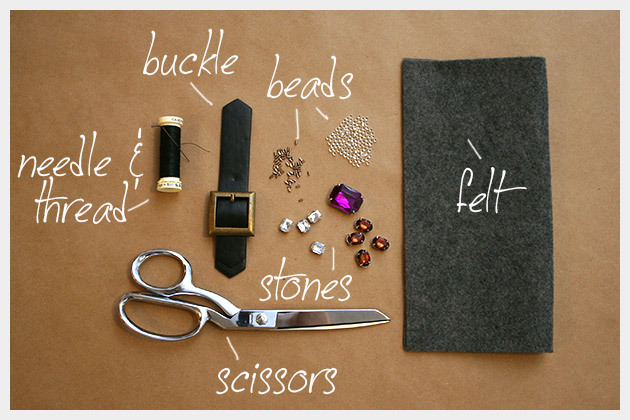 Depending on they type of stones you use, you will either glue them on to your felt or sew them on. I used stones with holes in the bezel for sewing. 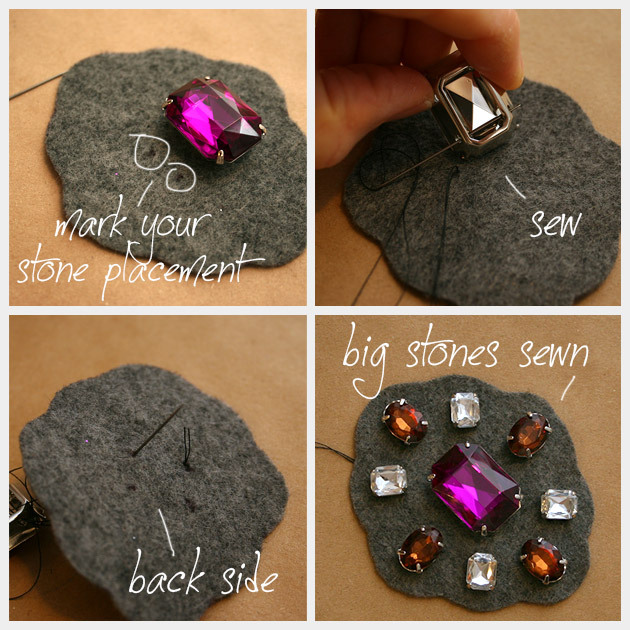 Carefully sew or glue your large and medium stones on to your felt. 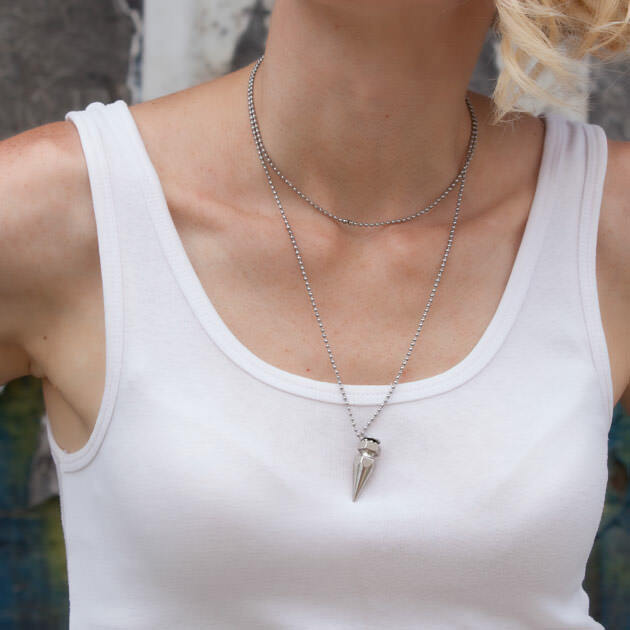 Next you will sew bugle beads in between your medium sized stones. I made rows of 3 bugle beads in between each of the medium sized stones. 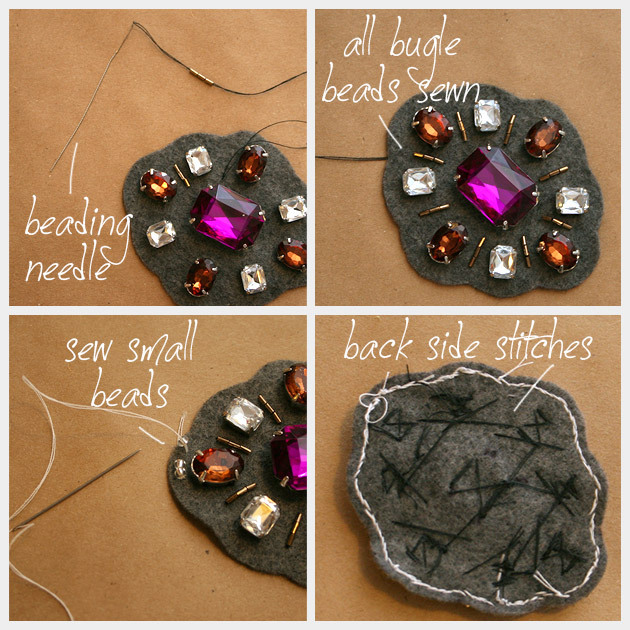 Take your small beads and sew them around the edge of your felt. I sewed my beads very close together to form a line all the way around the edge of the felt. 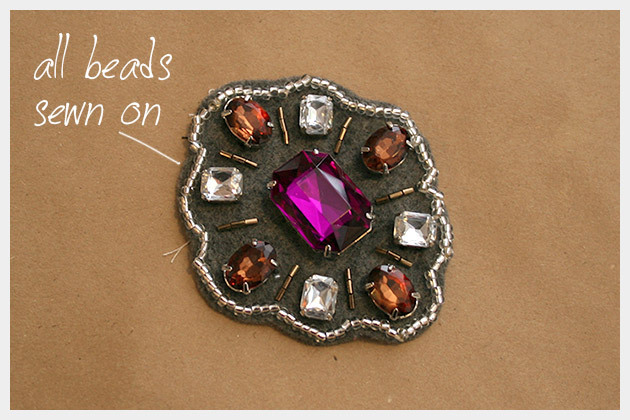 Lay out your piece of felt that doesnt have any stones or beads on it. 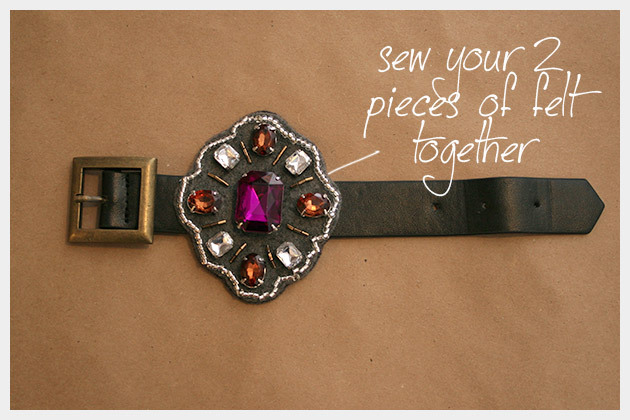 Open your leather buckle and place the 2 ends on either side of your felt and mark your placement. Put your leather & suede glue on your felt inside the area you marked for your buckle, place your buckle ends on the glue and press down. 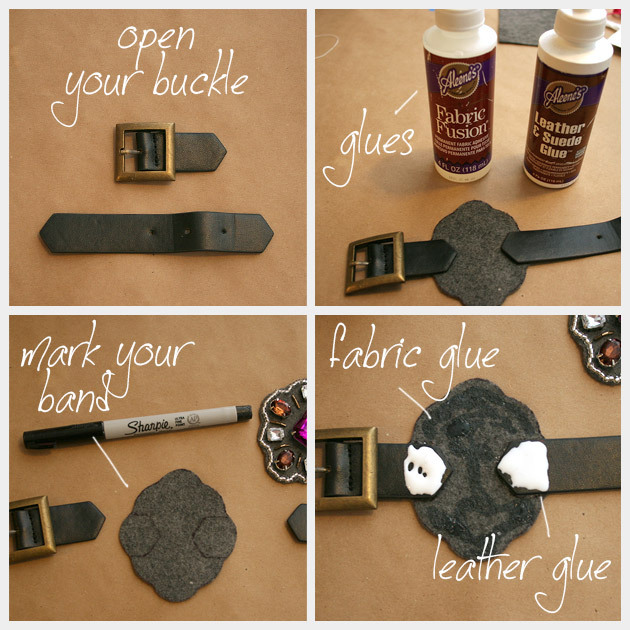 Put a little more leather & suede glue on top of your leather buckle ends and put fabric glue on the rest of the felt patch. 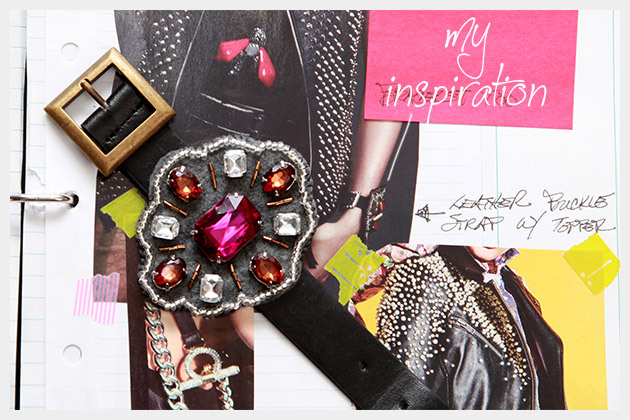 Place your embellished felt patch on top of your other felt patch and leather buckles and press down to hold the glue. 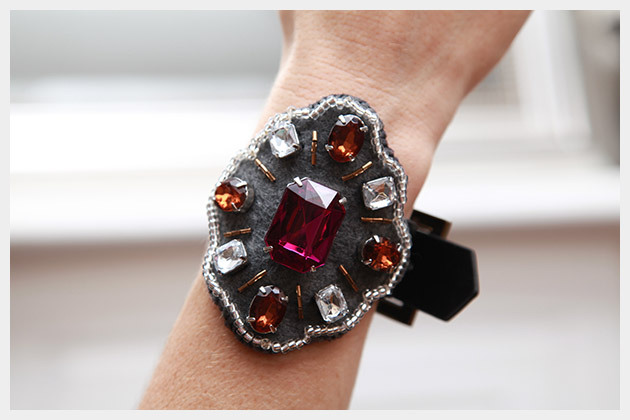 TIP: You may have some glue bleed through your felt, so I recommend placing your bracelet on a piece of wax paper to dry. Check it regularly and move it if necessary to keep it from sticking. I let my bracelet dry overnight to make sure it would really hold well. Take your needle and thread and sew around the edge of your two felt pieces. This will keep them from peeling apart. 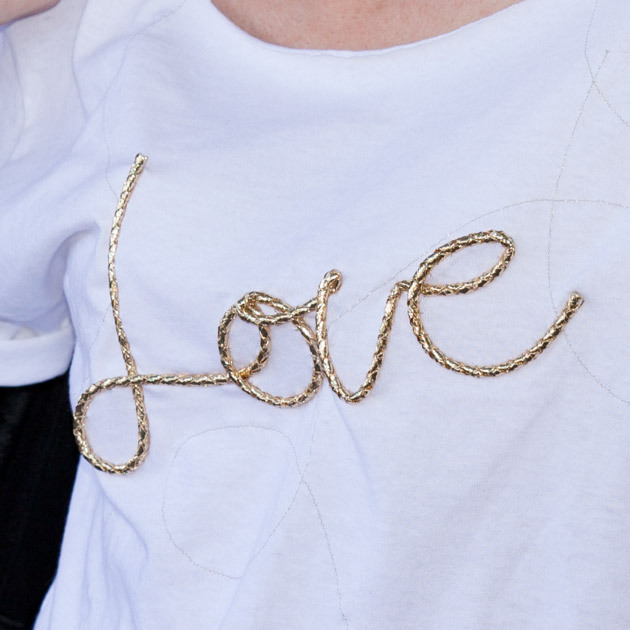 If your read my blog regularly you should know by now how much I LOVE embellishments especially when they involve anything that sparkles. 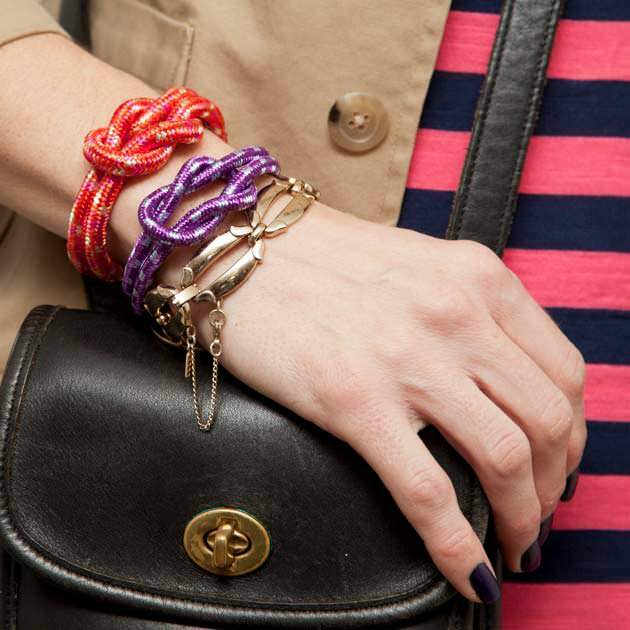 This Bracelet DIY is no exception. 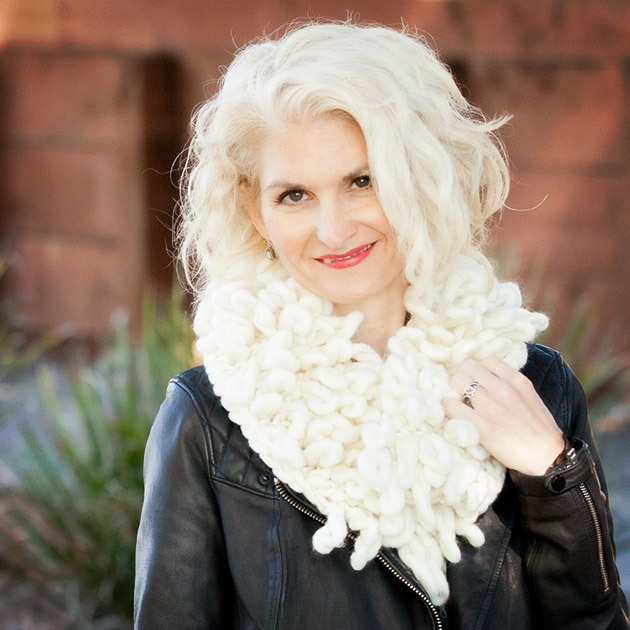 This fall there are a lot of embellishments and the Baroque trend is really a beautiful and luxe way to add touches of sparkle and gold to your accessories. 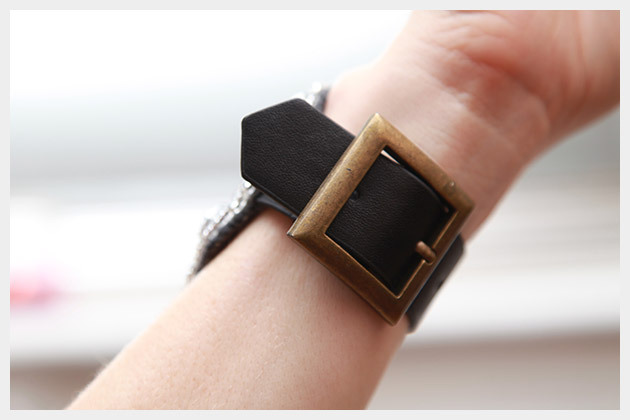 This Baroque Buckle Bracelet DIY is an edgy yet romantic accessory to wear with a t shirt and a leather jacket or to add a glam yet tough touch to a more conservative outfit. This is absolutely incredible, Cathy! Amazing job, again! this one’s a stunner, I love it! Love the gems, where did you get them/how much were they? I’ve been on the look out for gems with settings and I don’t know where to get them!